Today it's all about purple! I decided to turn up my makeup for day 2 of New York IMATS. Again, I pulled out my Alcone at Home custom made palette. 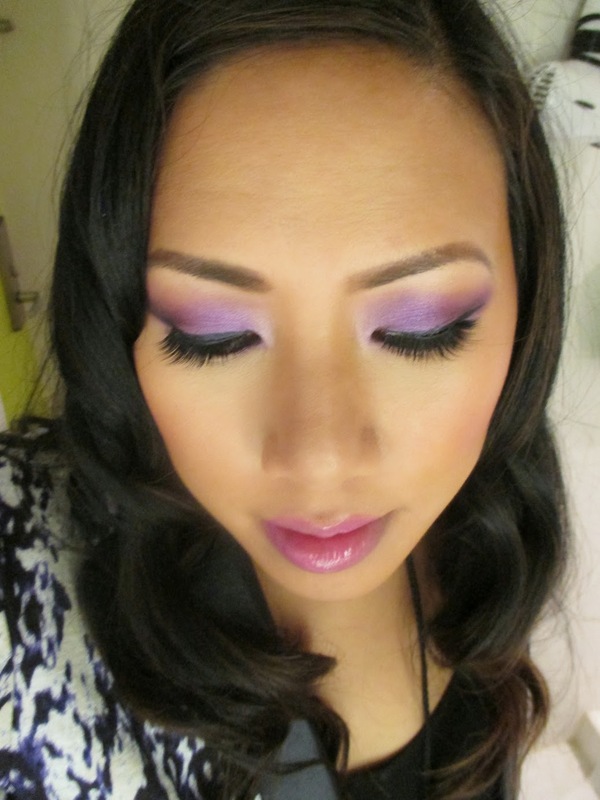 If you're into purples, this look is for you! 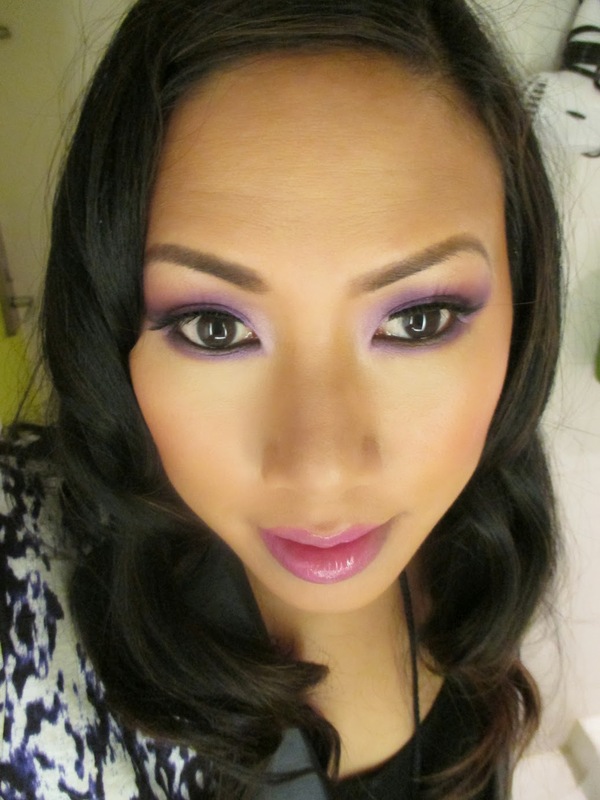 On the eyes, I applied a gorgeous metallic purple shade - Alcone # 24. 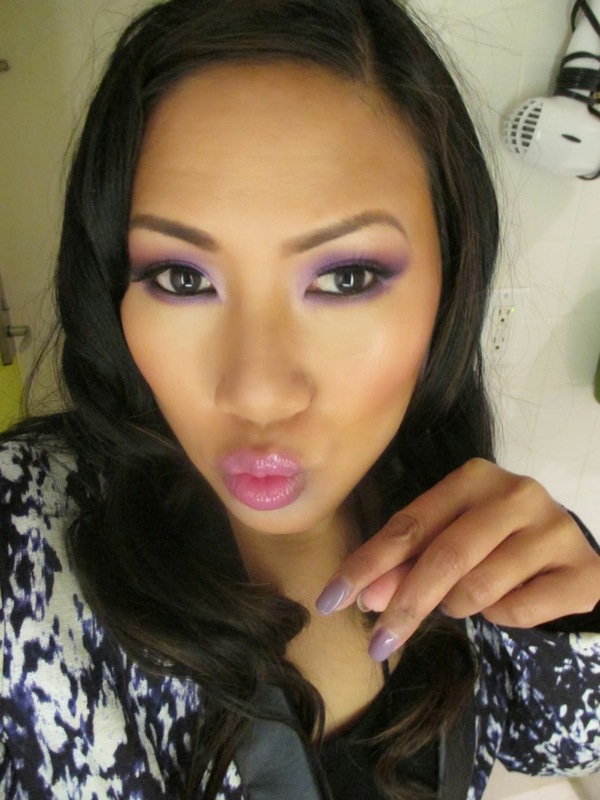 Then I contoured with a matte eggplant Alcone #15. For a pop of highlight I used the same cheek shimmer on my tearduct and browbone, Alcone Blush #6. For the lips, I rocked my favorite Alcone at Home Blinged Out Gloss in Hope. It's a purply pink and perfectly complements the yes. Stay tuned for tomorrow's Brigitte Bardot inspired look. CoverFX Find Your Shade Event Recap & Pics! My CoverFX Find Your Shade - Sephora Event! Meet me at IMATS NY - Details on My Seminar! 5 Must Have Makeup Products for Spring!